Thanks for stopping by to check out my list of Easy DIY Halloween Costumes for Kids! I have always lovvvvved Halloween! As a child, I remember when my parents would dress up with me and we had a great time trick-or-treating together. My most memorable Halloween was when my dad wore a dress! I was Pippi Longstocking that year, and my Mom wore overalls, and had straw in her teeth. I loved that my Mom was so creative with our costumes, and I've tried to carry that on with my girls. This post was created in 2013. If you see any broken links, please let me know. I've added to it every year and it's grown to well over 100 costume ideas – not just for kids but for families, couples, and even pets! I've compiled this list of 50 Easy DIY Halloween Costumes for Kids to hopefully get your creative juices flowing. I'd love to see what you come up with – and don't forget to check out my Pinterest Halloween board while you're looking around! Be sure to check out my Sugar Skull posts! I love finding Easy DIY Halloween Costumes for Kids, what are YOUR kids going to be for Halloween? Wow, I can’t believe you don’t have more comments on this post! I love the Rainbow outfit! I have to have my sewing friend make it – thanks. I liked your paper doll dress the other day! Great ideas! Do you have the tutorial for the rainbow costume? If so can you post it? The tutorials are posted, if they’re available. That one looks like it’s just photos for inspiration. Sorry! Hey! I just featured you on my blog and joined your site. Stop by and say hello anytime!! I always love Halloween too and my most memorable Halloween was when my mom bought me my all time favorite strawberry shortcake costume complete with all accessories and I felt I was the luckiest kid in the world. Thanks for taking time to research on the top 50 Easy DIY Halloween Costumes for Kids, the list is very helpful. Awesome list! Thanks so much for compiling it! I couldn’t resist pinning it. So many great ideas! Love these ideas! Thanks for these links!! Love the chocolate chip cookies! How cute is that to use them for seat cushions when you are done with the costume!! We got a pretty cheap tutu from powercapes.com that was black and yellow since we’re steeler’s fans. Last year we made a bumble bee costume from it, this year a black and yellow butterfly or fairy! Great Ideas. I’m making myself a Halloween costume as I’m a professional magician and children’s entertainer and I have lots Halloween shows coming up later this month. I’ll have to adapt one of these designs to make something for myself. 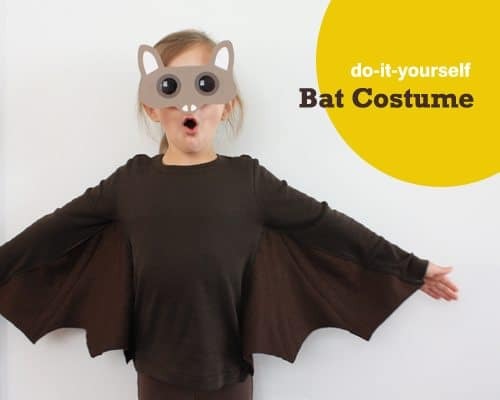 here http://www.jolynnshobbyshop.blogspot.com/2012/10/50-diy-halloween-costumes-list-tutorials.html These are great ideas love them! Thank you for putting this list together. Bloggers like you often save me. My grandkids, neices and nephews will be glad I found you on Pinterest. Keep up the good work! Have a Happy and Spooky Halloween! DIY costumes are so much more fun than store-bought ones. You can do so much with make-up and some old clothes. Wow, thanks for the list! I love the Rapunzel hair. I can’t believe how creative some people are! I clicked on this article, when I saw the Raggedy Ann costume, because I pinned this image a year ago and thought you might have more cute costumes up my alley. Love these ideas! I noticed that your Raggedy Ann pic is credited to the wrong person, though. Thanks so much for including my Cleopatra costume! Thank you so much for the ideas you posted here. Some of our babysitters are being asked to help moms with Halloween costumes and we’ll be giving them this blog post as a resource.